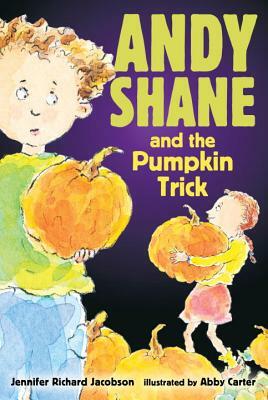 When pranksters ruin Dolores Starbuckle's pumpkins, Andy puts his trickiest plan to the test in this humorous tale filled with Halloween fun. Andy Shane does not want to go to Dolores Starbuckle's birthday party. It's on the same day as Halloween Plus, Dolores is always ordering Andy around or squealing over his marble collection. But when Dolores tells Andy that someone is smashing pumpkins in front of her house, the thought of tricking the tricksters is too appealing to resist. Maybe he could scare off the vandals and give Dolores a really great present, all at the same time Andy Shane returns in a second upbeat tale for early chapter-book readers.